In june 2000, Lopon Tsechu Rinpoche visited Karma Shedrup Choeling in Jutland, Denmark. Here Rinpoche decided the place for constructing an enlightenment-stupa. Rinpoches knowledge and transmission goes back to teachings given by the 15. 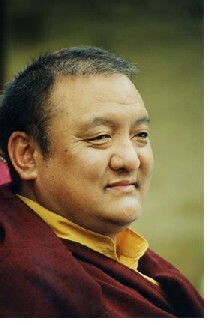 Karmapa (Khakhyab Dorje, 1871-1922).